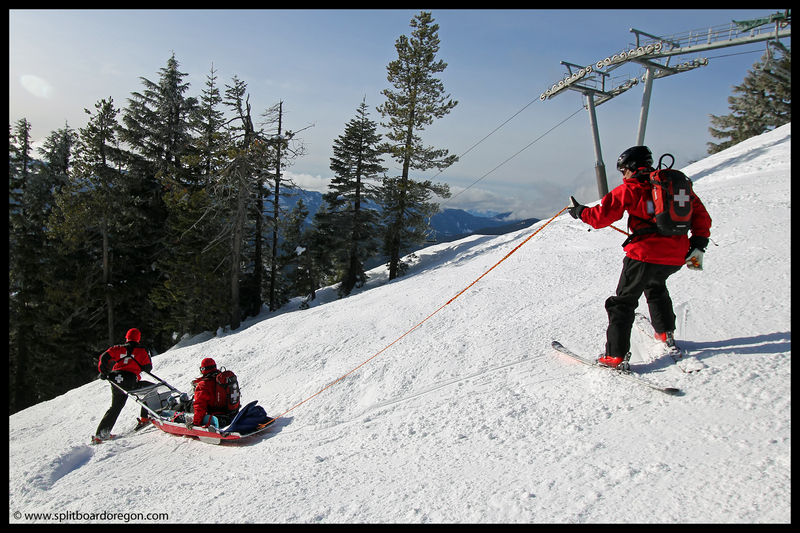 One of the many enjoyable parts of being a ski patroller is the opportunity to run sleds and toboggans around the hill, which takes a fair amount of practice to become proficient at. 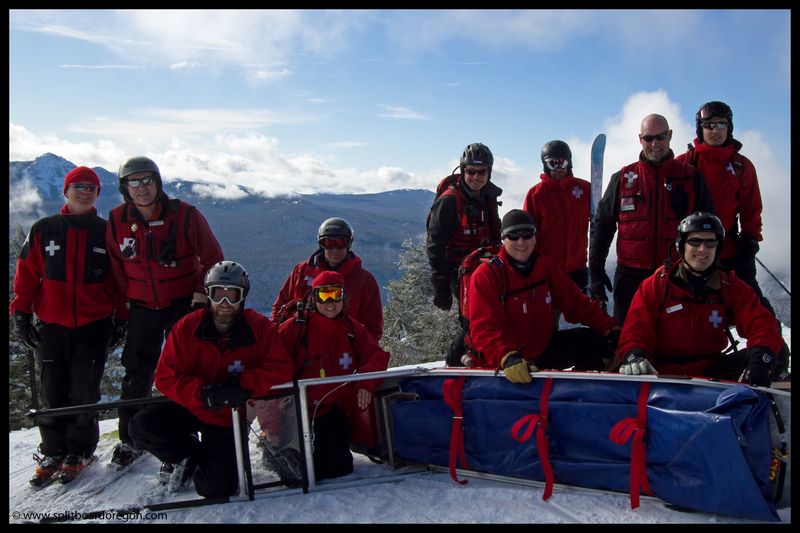 On Sunday, a group of patrollers, myself included, spent the morning running sleds and preparing for upcoming sled clinics to refresh the patrol. Though it hadn’t snowed in a week, the weather was beautiful and sunny all day, affording awesome views of the surrounding mountains. Riding up on the first chair, I could tell it was going to be an excellent day. After unloading at the top of EPA, we set out to open runs on the mountain and account for all necessary equipment. Before heading down to open Timbur, which was pretty icy due to the warm weather the day before, I pulled out my camera and snapped several photos of the early morning, including the one of Raleigh below. With early January providing the latest sunrises of the year, the opportunity to catch a few good pictures was too much to pass up…. 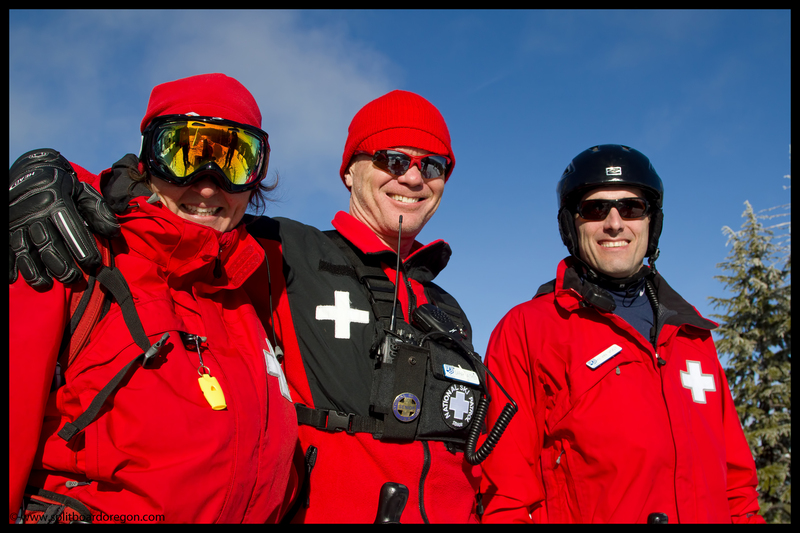 After opening all the runs on the hill, the group of sled trainers met in the patrol room to go over the events of the upcoming clinics. After that, it was time to run some sleds and have a little fun. Most of the morning was spent on Eagles Flight, and I always forget how much work running a loaded sled is! 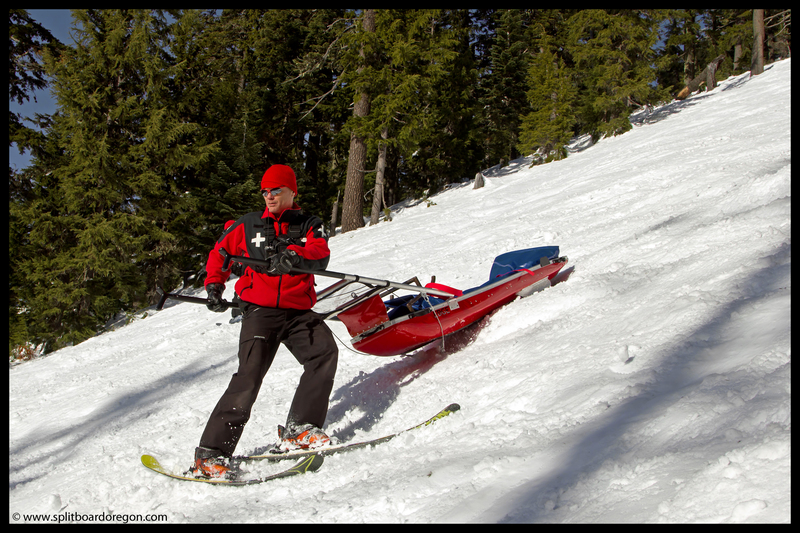 I had the opportunity to run the new Edge sled, which runs much faster than our Cascade 100’s. Running loaded back down to the base of the EPA lift, I was able to cruise pretty quickly in the front handles and glide easily through some of the flatter spots! After a few runs, the group got together for a quick photo at the top of EPA. 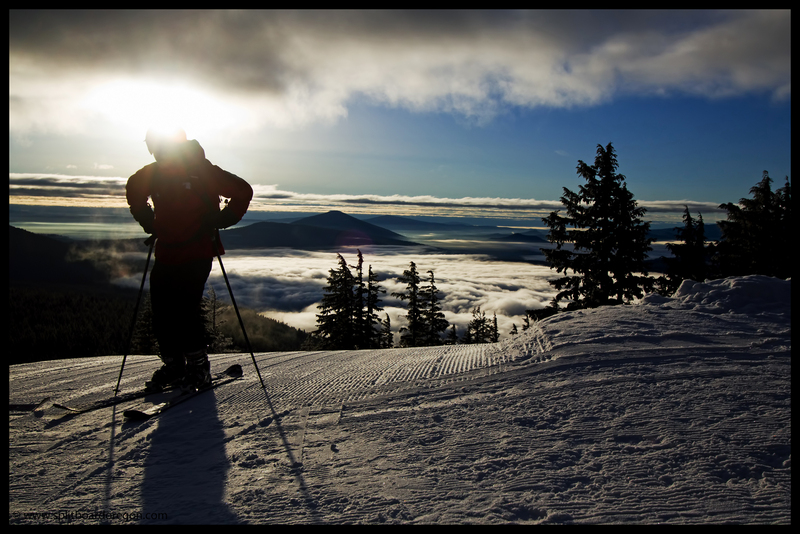 The sun was still out, but Diamond Peak was hiding behind the clouds…..
After a couple more runs, we broke for lunch at the base. When lunch was over, I ran a sled back to the Twighlight lift before joining Cyndy, Kevin and Greg to snap a few afternoon pictures while they continued working with the sleds on Timbur. The firm snow of the morning was giving way to softer corn in the afternoon, and made for some fun sledding conditions…. Back up top, everyone took a few minutes to enjoy the views and catch a breath or two in the warm sunshine. It seemed like a good opportunity to snap a few photos, which I did. One of the shots I captured was of Cyndy, Greg & Kevin, and is shown below…. I spent one more run shooting photos with the sled runners before sitting bump for the last hour of the day. Sweep went off without a hitch, and I thoroughly enjoyed being the last person sitting atop Eagle Peak watching the sunset over Diamond Peak while the runs were cleared. Eventually I vacated via RTS, and the snow was great even though the moguls were monstrous! 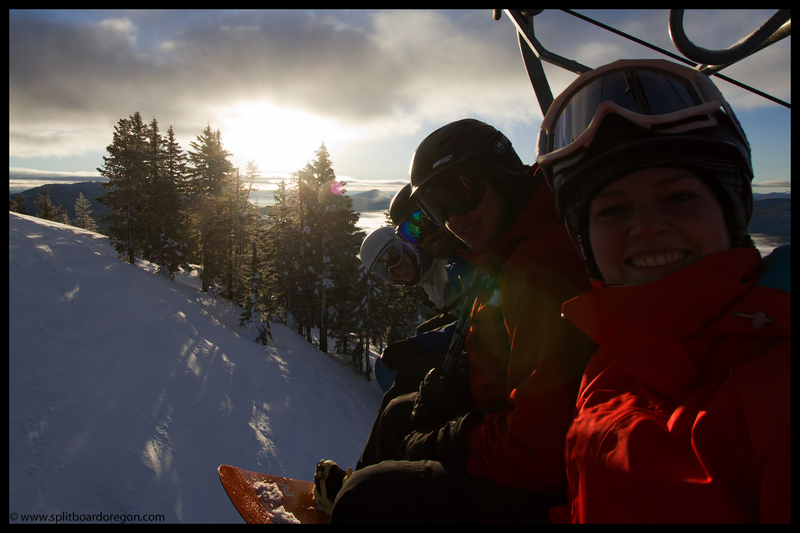 Lower mountain sweep went quickly, and soon another patrol day was in the books! Here’s a parting shot of Cyndy reflecting on a great day! 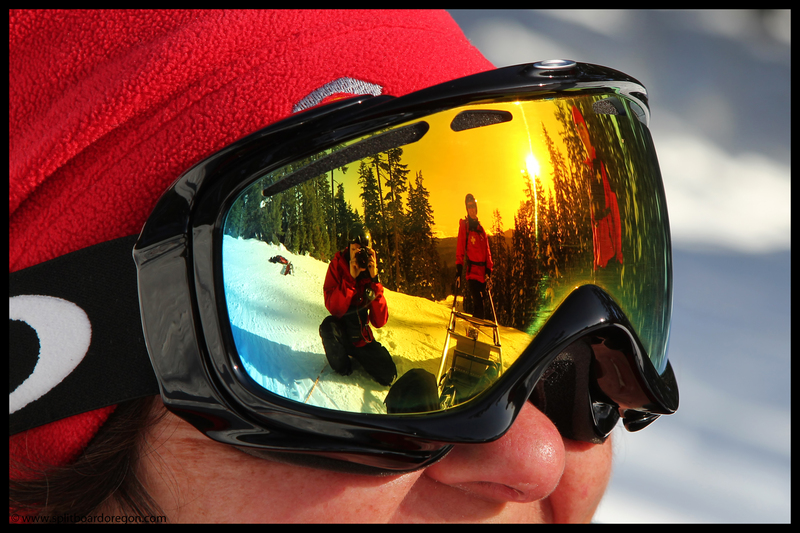 Reflections on a great day of sled training!